Election Day has come and gone! 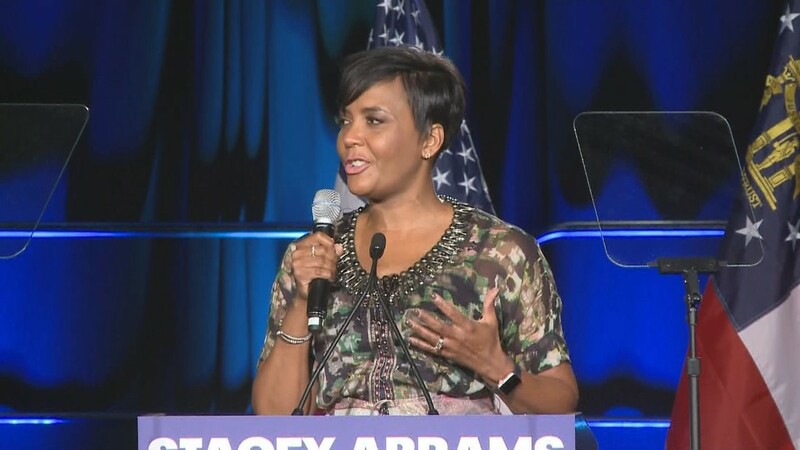 11Alive is your go-to source for election coverage providing commentary and context along the way. 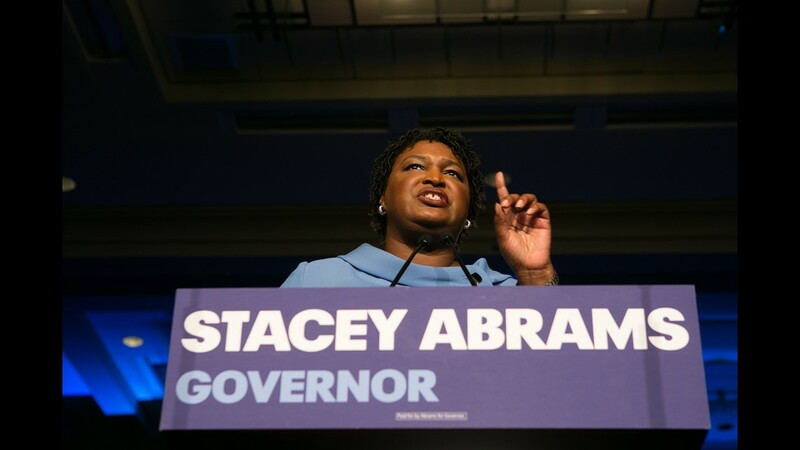 The Georgia governor race between Republican Brian Kemp and Democrat Stacey Abrams is one of the most closely-watched gubernatorial contests in the 2018 midterm elections. Get updates throughout the day about what's happening locally and around the nation on this page. 2:43 p.m. | Brian Kemp takes the stage at his election night watch party. 2:28 p.m. | Geoff Duncan declared winner of Lt. Gov's race, defeating Sarah Riggs Amico. 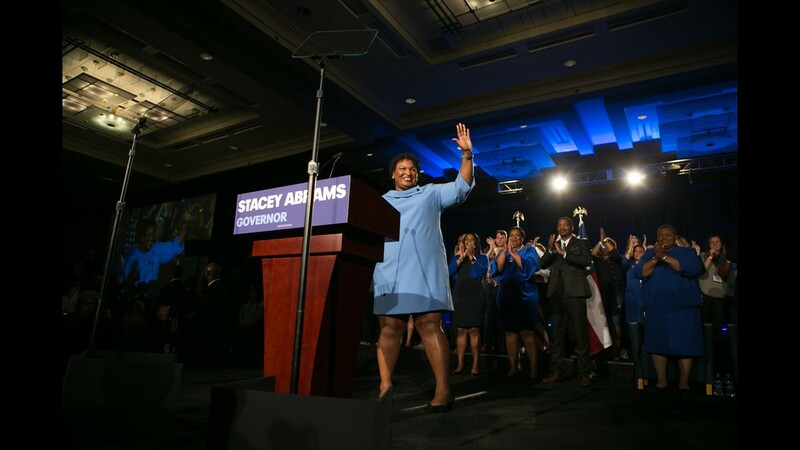 1:35 a.m. | Stacey Abrams took the stage at her watch party and told the crowd that everyone vote will be counted. 12:52 a.m. | DeKalb County Board of Elections reports all electronic ballots counted. However, there are "still 15 to 20,000 absentee paper ballots still to be counted." No word on how long that will take. 11:33 p.m. | A failed vote means no new city in Henry County this year. 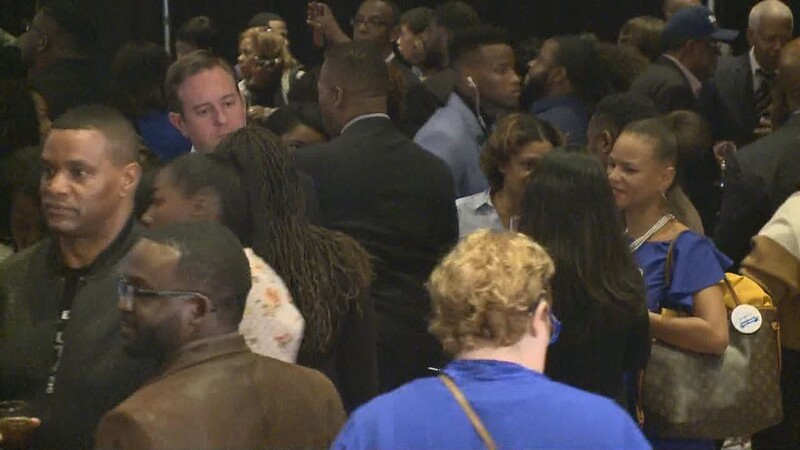 Eight precincts in the county voted against creating the city of Eagles Landing with 57 percent opposed. 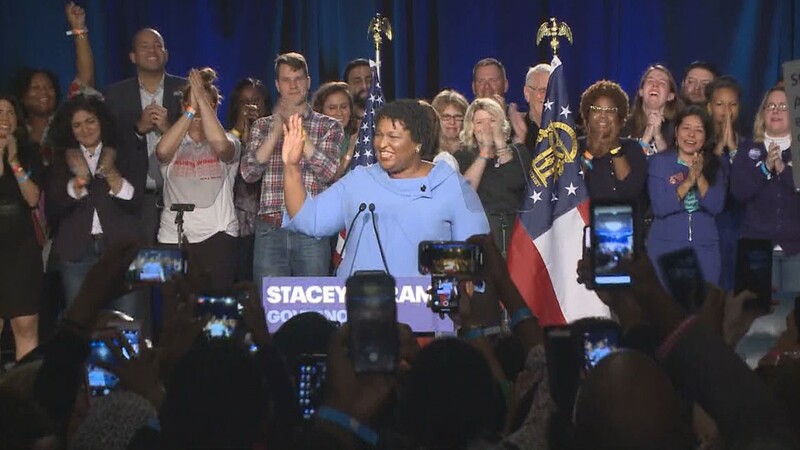 10:47 p.m. | The Democrats have officially taken back the U.S. House of Representatives. 10:32 p.m. | With 49 percent of precincts reporting, four of the state's five proposed amendments were overwhelmingly approved. The highly-publicized Marsy's Law, which would give crime victims more rights was Amendment 4 and received 80 percent approval. Amendment 1, an Outdoor Trust Fund, had more than 82 percent approval. Amendment 2, which would establish a business court, received 70 percent approval. And Amendment 5, a school tax referendum, received 70 percent approval. Amendment 3, which deals with forest conservation, only has 60 percent approval so far. #BREAKING: Marcy's law has passed. 9:46 p.m. | NBC News estimates that Democrats have a 65 percent chance of winning a majority in the U.S. House of Representatives. The party could win as many as 31 seats — well over the 23 needed for the majority — for a total of 224, according to the estimate. 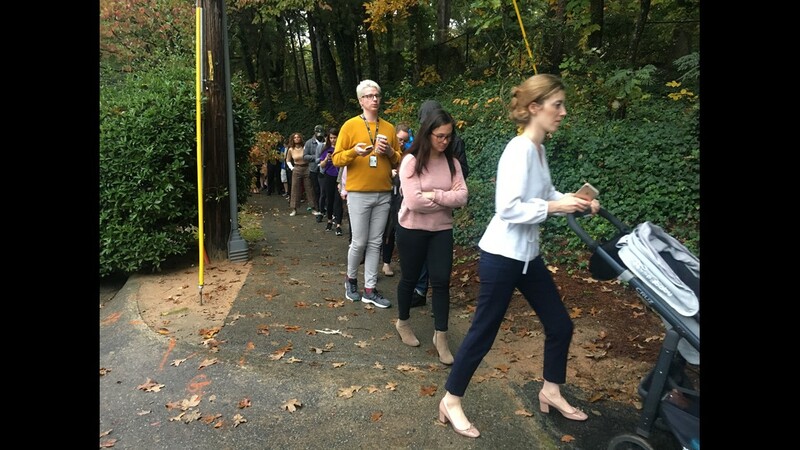 8:44 p.m. | Actress Rosario Dawson has joined the growing chorus of voices urging voters in a handful of Georgia precincts still open due to earlier issues to stay in line and vote. 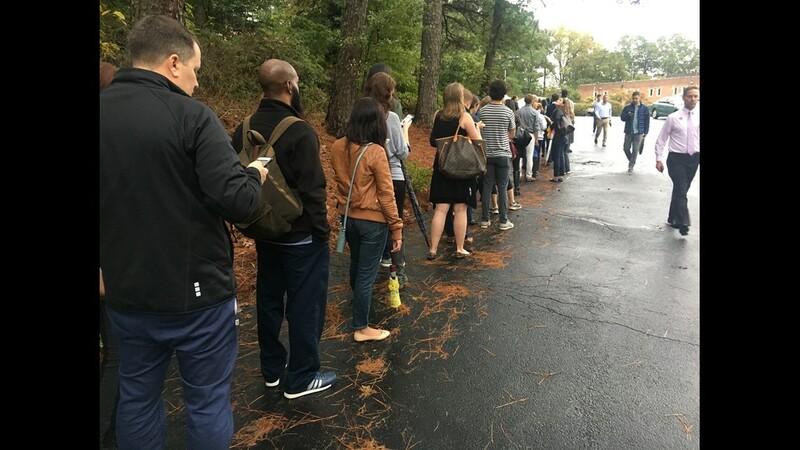 8:22 p.m. | Fulton County holds a press conference telling voters in the precincts that have extended hours to get back in line. 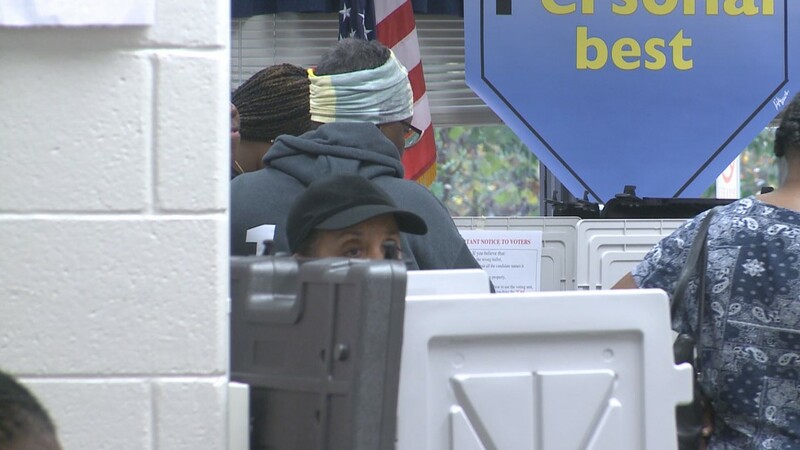 7:59 p.m. | Three polling places in Fulton County are staying open longer. Pittman Park Recreation Center - 9 p.m.
Archer Hall at Morehouse - 10 p.m.
Booker T. Washington High School - 10 p.m. The Pittman location is where Fulton County officials only had three voting machines when the polls opened. This caused long lines and delays. 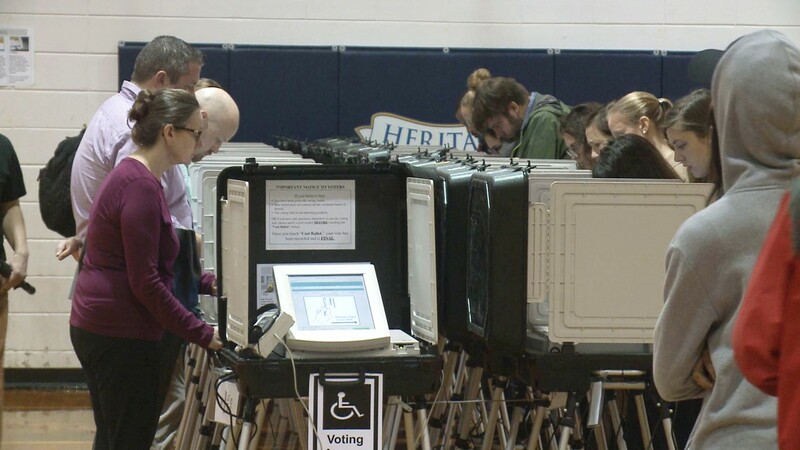 Five more voting machines were brought in before noon. 7:40 p.m. | The first election results are just starting to come in. 7:00 p.m. | Voting has ended for most precincts across the state. 6:44 p.m. | Voting has been extended until 9:25 p.m. at Annistown Elementary School in Gwinnett County, elections officials confirm. We are working to confirm other locations that may also have extended hours. 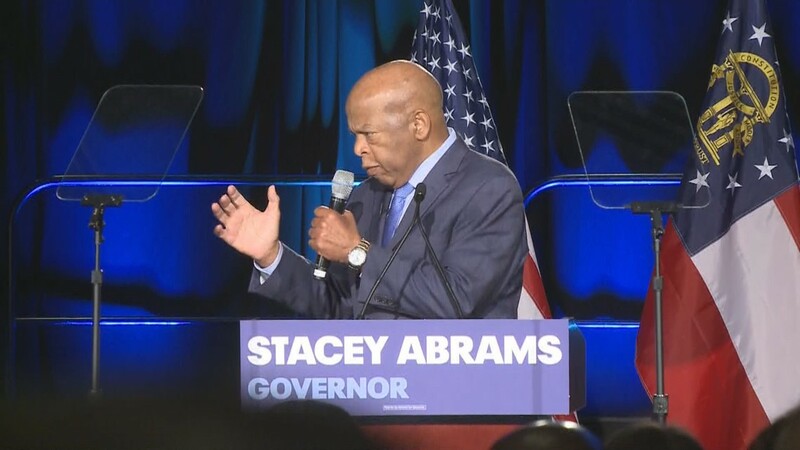 Voting at Anderson-Livsey has been extended to 7:30 p.m. and voting at Harbins precinct has been extended to 7:14 p.m.
6:12 p.m. | Stacey Abrams has shared a message from Rep. John Lewis reiterating what many are saying across the aisle in the wake of long lines at the polls: Don't give up. 5:19 p.m. | Voters show off their "I voted" stickers through #PostThePeach hashtag. 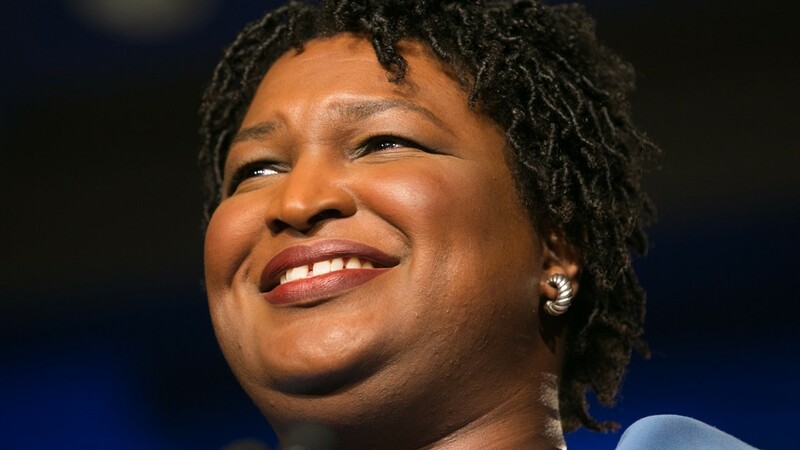 Posting pictures of Georgia's distinctive Peach sticker has become a tradition across Georgia in the age of social media. 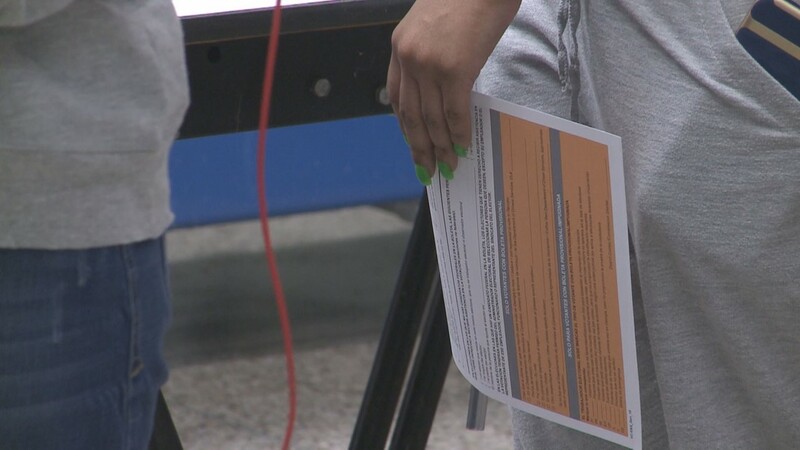 After getting the message, 11Alive reached out to Atlanta Police, who said that the owner of the private parking lot had booted some cars. Police dispatched an officer and asked for them to stop since some of the vehicles were parked by voters. 3:44 p.m. | Not sure if you can vote? East Point attorney says head to the polls anyway. 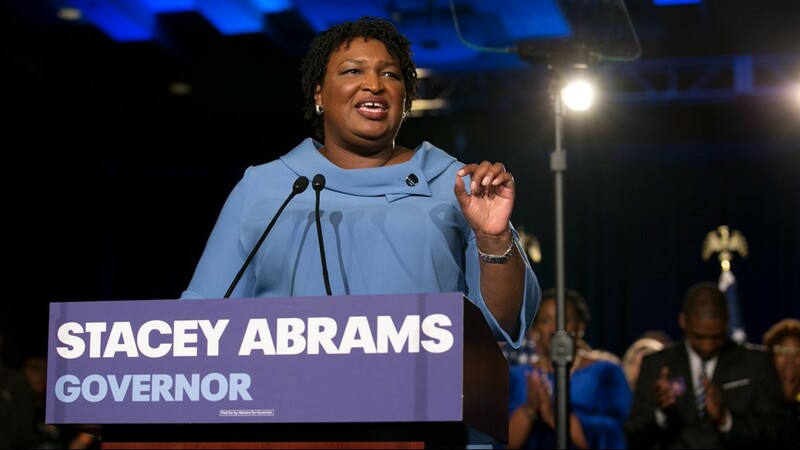 3:36 p.m. | 11Alive has learned that election issues have directly impacted gubernatorial candidate - and current secretary of state - Brian Kemp himself. 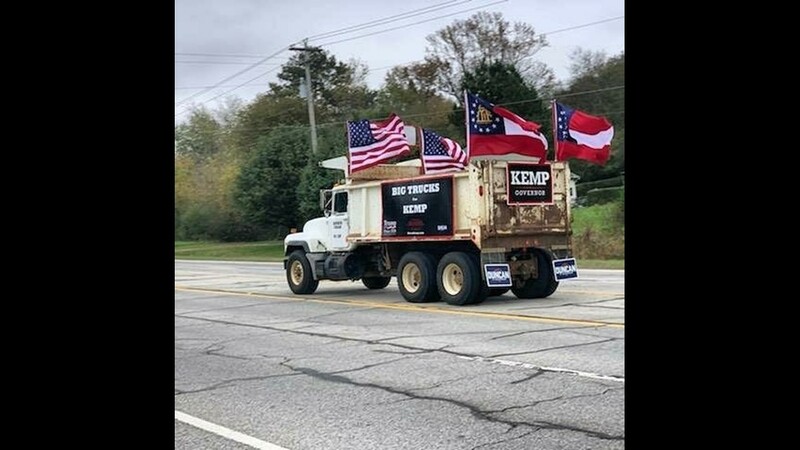 Kemp hit a snag of his own when he went to vote near Athens at the Winterville depot location. Kemp entered - then exited the booth reporting a card error. Kemp was able to vote with a replacement card. 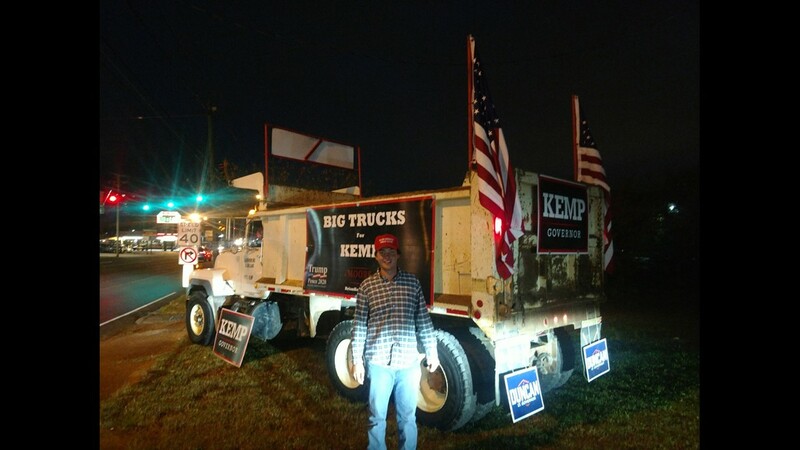 Issues aside, Kemp said he's optimistic about his chances of making it to the Governor's seat. 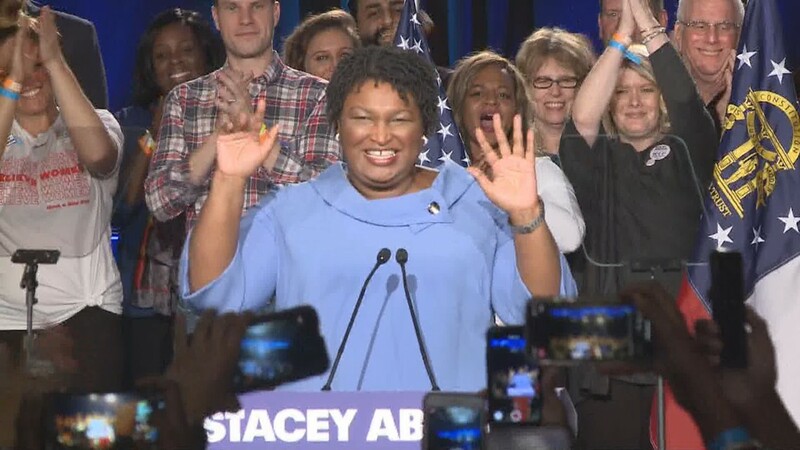 3:06 p.m. | Stacey Abrams was joined by The Rev. Jesse Jackson on Tuesday as she stopped by the Busy Bee Cafe in southwest Atlanta. There, the gubernatorial candidate stressed the importance of staying in line regardless of the wait. Jackson chimed in as well pointing at that "if Mandela can stand in line for 27 years, they can wait 4 hours." 2:20 p.m. | Gubernatorial candidate Brian Kemp announces that he and his family have cast their ballots. 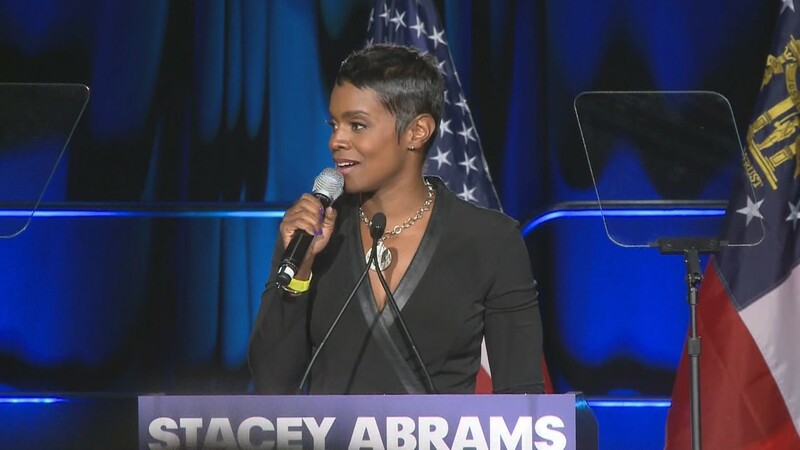 2:11 p.m. | Music artist Rihanna just posted her support for gubernatorial candidate Stacey Abrams calling her an inspiration and touting her platform. 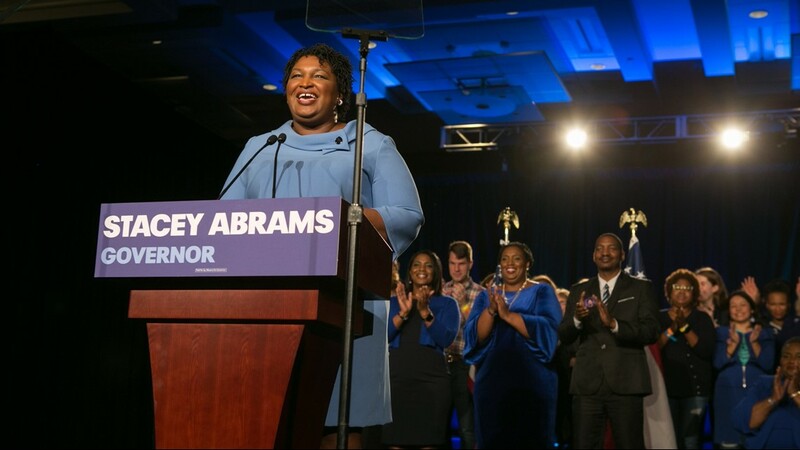 GEORGIA: I’m sure you already know, but incase you’re still wondering... it’s all about @StaceyAbrams for Governor! Stacey is an inspiration to women across the world!!! 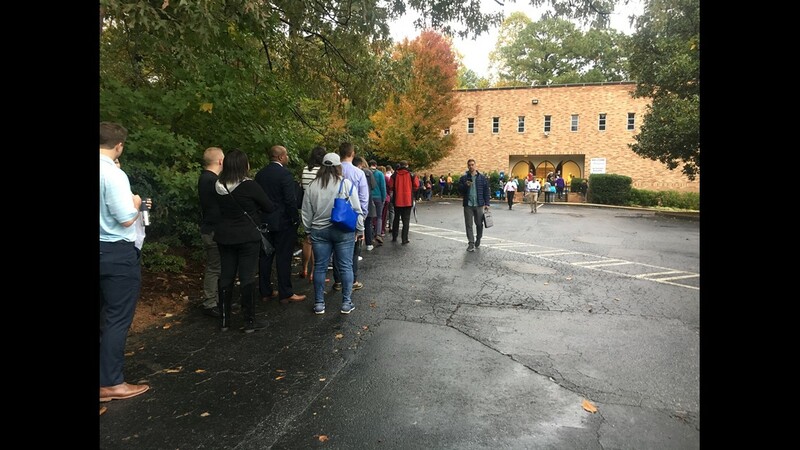 1:47 p.m. | Georgia Secretary of State's Office confirms that the Annistown Elementary School voting precinct will be open an extra 25 minutes due to a court order sought by Gwinnett County officials. 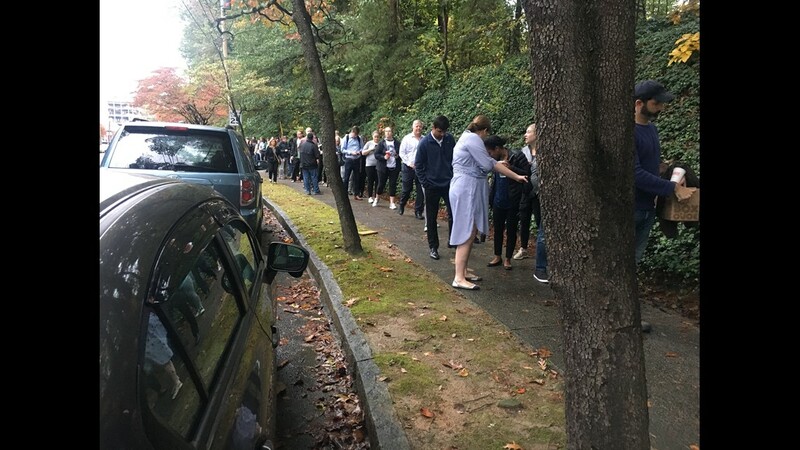 The location has had issues that caused long lines on election day. 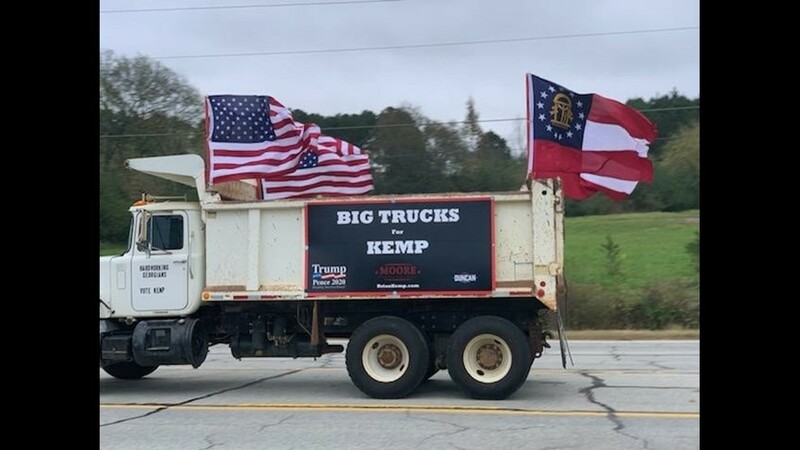 1:37 p.m. | "Big Trucks for Kemp" convoy stops outside Governor's Mansion on East Paces Ferry in Atlanta. The trucks are heading to Athens. 12:57 p.m. | More people are using the #PostThePeach hashtag online. 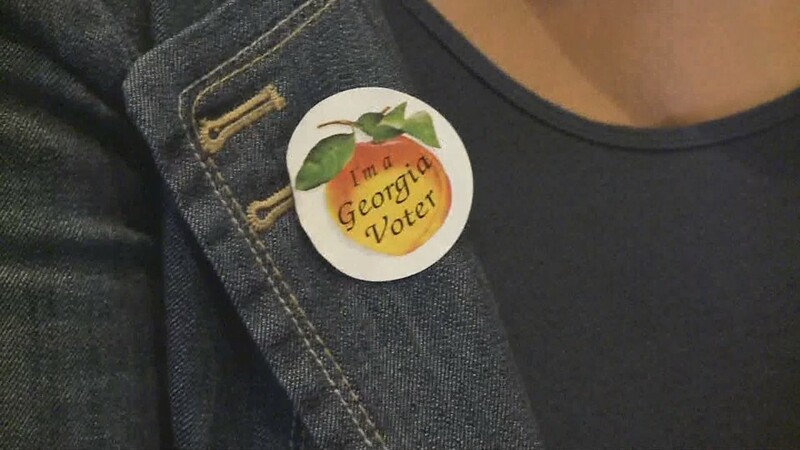 In Georgia, voters are given a peach sticker after they vote. 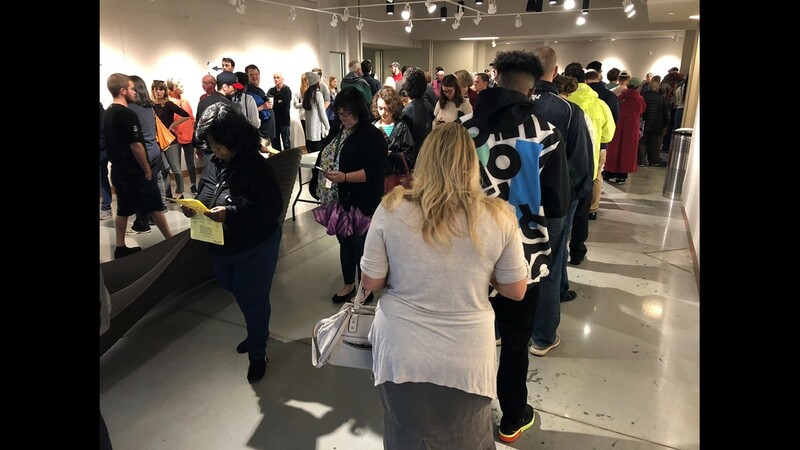 "What we are here to do today is to encourage everyone to not be deterred by any rain, or any line, but do get out here and cast your vote," Rep. Hank Johnson said. "It is important for the integrity of our system. Our very democracy is dependent on people exercising that right to vote. We need to you to come out in massive numbers. I’m gratified that is what is happening today. 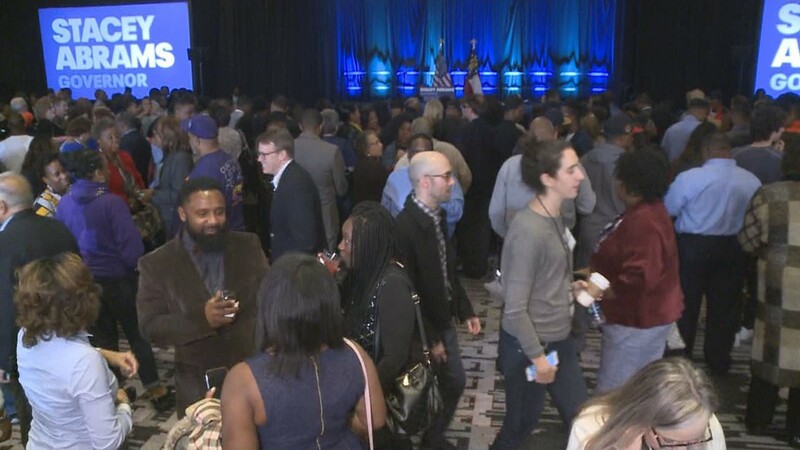 12:15 p.m. | During the news conference, Democrats encouraged people to come early to vote. They also thanked voters for waiting in line. They said some people encountered issues at Annistown Elementary. 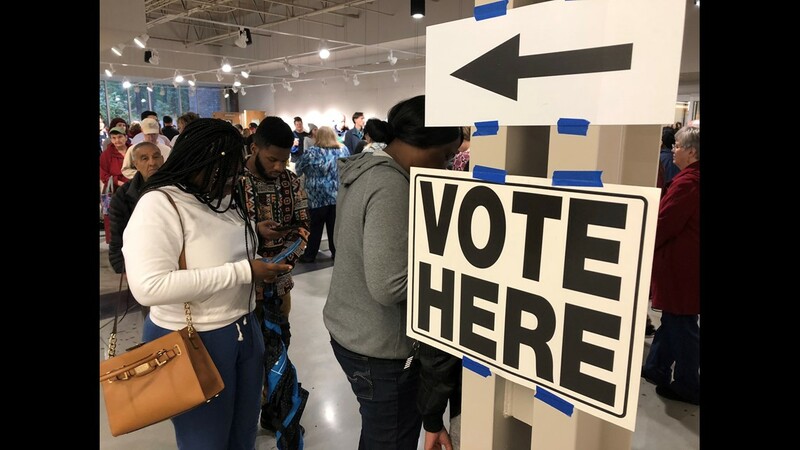 12 p.m. | Democrats Hank Johnson, Carolyn Bourdeaux, former State Senator Jason Carter are expected to talk about voting issues in Gwinnett County. 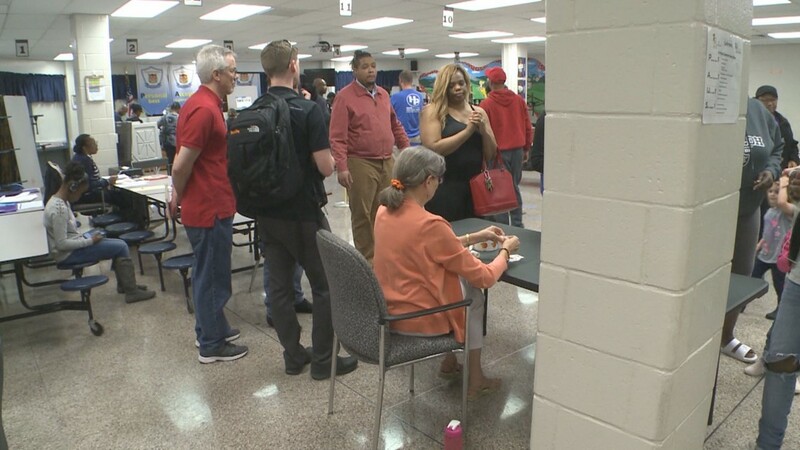 Early Tuesday morning, some voters said they had to use provisional ballots. 11 a.m. | Fulton County officials talk about the election. 10:55 a.m. | Former Vice President Biden votes. 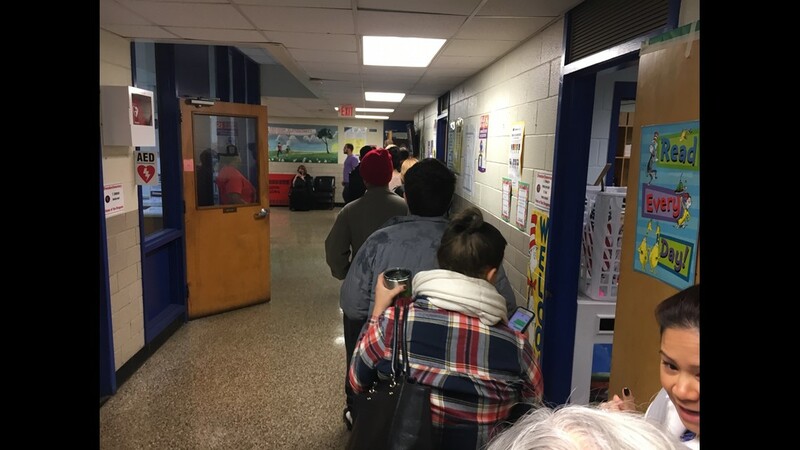 9:08 a.m. | The polls have been open for two hours and the lines are long at several locations. 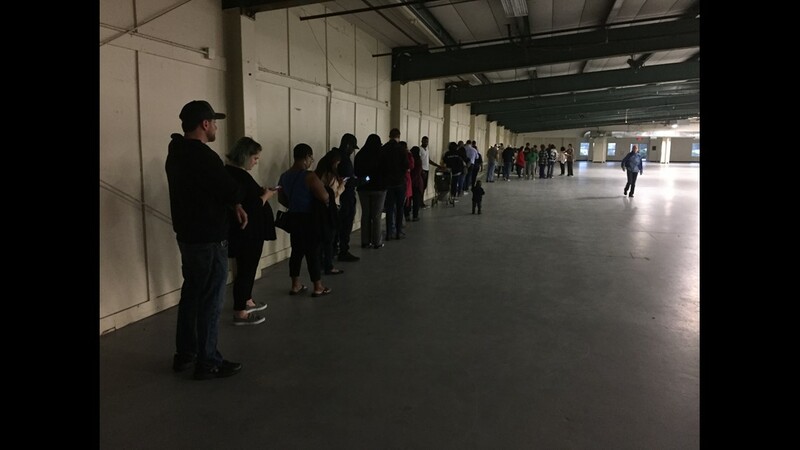 8:35 a.m. | Long lines very early this morning and only minor problems have been reported at some precincts. Here's how you can report any problems at the polls. 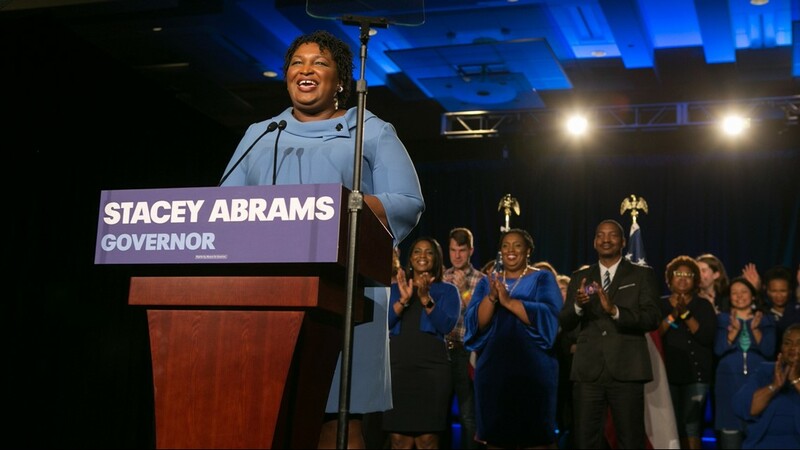 7:05 a.m. | Stacey Abrams encourages voters to go to the polls. It's Election Day. The polls are OPEN. 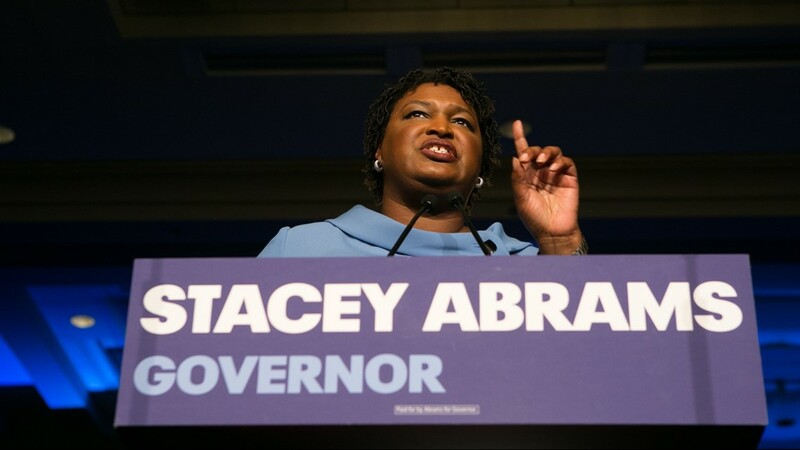 One vote could be the difference between winning and losing today – and the candidate whose supporters show up will be Georgia's next governor. Who is running for Lt. 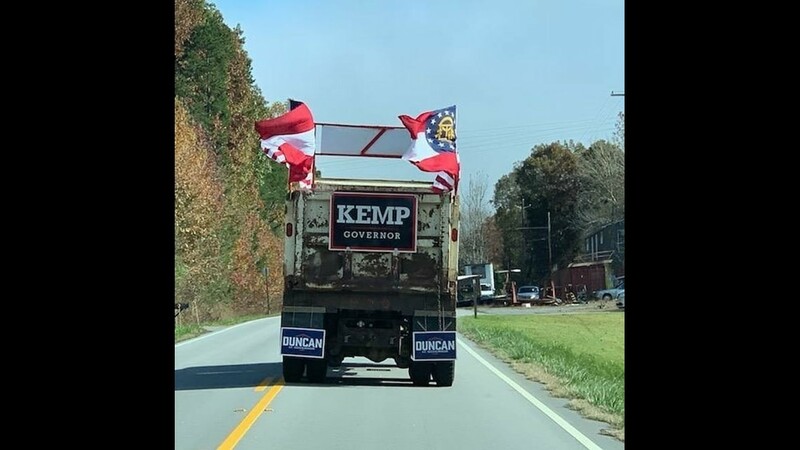 Governor in Georgia?